New Jersey is the first stop of the new re-designed global live tours from the world's most popular online poker site. PokerStars Festival New Jersey kicks off hot on the heels of the New Jersey Championship of Online Poker (NJCOOP), a two-week online series taking place at PokerStarsNJ.com making New Jersey a hotbed of gaming action for over three weeks this autumn. PokerStars Championship will stop at the Atlantis Resort, Nassau in January for its debut. Players can experience the innovation and expertise that comes with a PokerStars-sponsored live event: new formats, the best-known professional players, packed schedules, high quality staff and a variety of ways to qualify. The PokerStars Festival New Jersey will also feature some exciting extras, headlined by a casino festival with daily jackpot prizes, special activities for VIP casino players and will include blackjack, video poker, slots and roulette tournaments. Among Team PokerStars Pros attending will be Twitch poker sensation Jason Somerville, who will be headlining a special Run it Up event on November 5, which will feature a series of Run it Up themed mixed events, including a Dealer’s Choice Stud Club event. Jason will also host a poker seminar and a Q&A session for fans. Some of Jason’s poker-loving friends will also be in attendance, including reality TV stars Tyson Apostol and ‘Boston Rob’ Mariano of ‘Survivor’ fame. Other Team PokerStars Pros set to compete in the PokerStars Festival New Jersey include Daniel Negreanu, Fatima Moreira De Melo, Barry Greenstein, Jason Mercier, Chris Moneymaker, Vanessa Selbst and Randy Lew. For action away from the tables there will be a StarsFun skills zone from October 31 to November 4, which will involve five days of competition across non-poker related games, including miniature golf, arcade basketball and pinball, among others. A wide range of satellites and qualifiers are running daily so everyone has a chance to win their way to the Main Event. To further celebrate the PokerStars Festival New Jersey, PokerStars is giving NJCOOP players the chance to win one of 20 PokerStars Festival New Jersey 2016 Main Event seats, each worth $1,100. All players who take part in five special NJCOOP events will receive a ticket to register to an All-in Shootout at 20:00 ET on the following day. Each of the five All-in Shootouts will award four $1,100 Main Event seats. PokerStars is also giving players plenty of alternative chances to win their Main Event seat to the debut Festival from October 3-17 through various promotions including the PokerStars Festival All-in Shootout; where players complete a poker challenge or just make a deposit to be registered into an All-in Shootout on October 17 with 10 Main Event seats added; the PokerStars Festival New Jersey Freerolls running daily at 20:00 ET from October 3-8 and October 10-15 with 4 Main Event seats added in two Freeroll Finals; the PokerStars Festival New Jersey Mega Qualifier on October 9 with 20 Main Event seats guaranteed and the PokerStars Festival New Jersey VIP Bash on October 15 with 15 Main Event seats guaranteed. For further information on these promotions please see: http://psta.rs/2df7r4N. 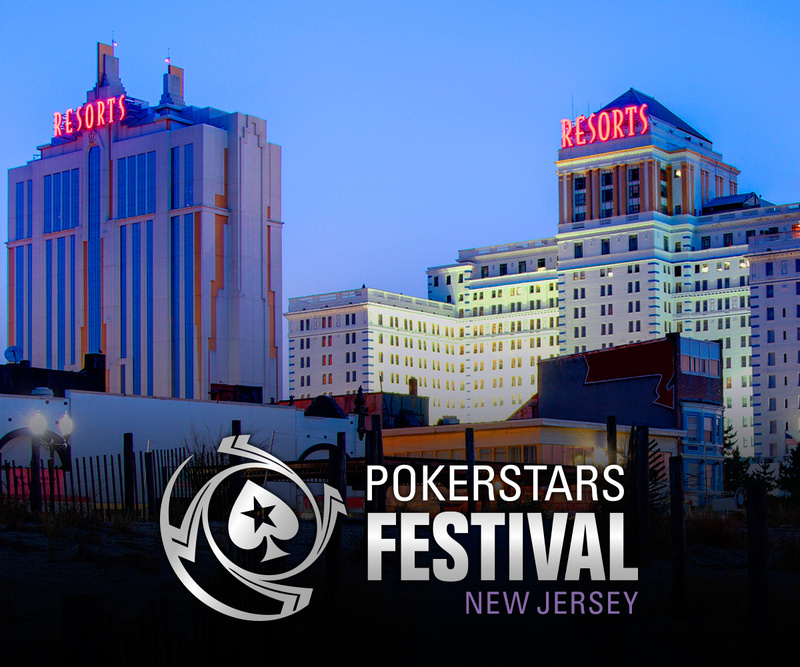 For further details about PokerStars Festival New Jersey, please visit: http://psta.rs/2dAJB54. The PokerStars Championship is the world’s richest and most popular poker tour. Bringing together some of the world’s most exciting and prestigious poker tournaments, the PokerStars Championship is the successor to the European Poker Tour, North American Poker Tour, Latin American Poker Tour, and Asia-Pacific Poker Tour. Collectively, these events have paid out well over $1 billion in tournament prize pools globally on five continents since 2004. In 2017, the PokerStars Championship will include events in Barcelona, Macau, Monte-Carlo, Panama and the Bahamas. PokerStars Festival events are shorter live events days with a fun, holiday feel and a variety of events, mainly tailored for recreational players. Confirmed PokerStars Festival events so far are New Jersey and London, with more stops to be announced in the coming months. The PokerStars Championship and PokerStars Festival are brands ultimately owned by Amaya Inc. (Nasdaq: AYA; TSX: AYA). Further information on the PokerStars Championship and PokerStars Festival is available online at http://www.pokerstarslive.com/.